- Figure out what Yeet means. Pond's hair is blonde and shoulder-length. Usually, she keeps her hair up in a ponytail, which is bound with a black ribbon. Pond is slim and petite in stature. Her back is covered with burns from a fight that went badly, and her chest is bisected with a silvery scar which is a remnant of a breakup gone wrong. There is a scar located at the base of her neck which is shaped like a cross. 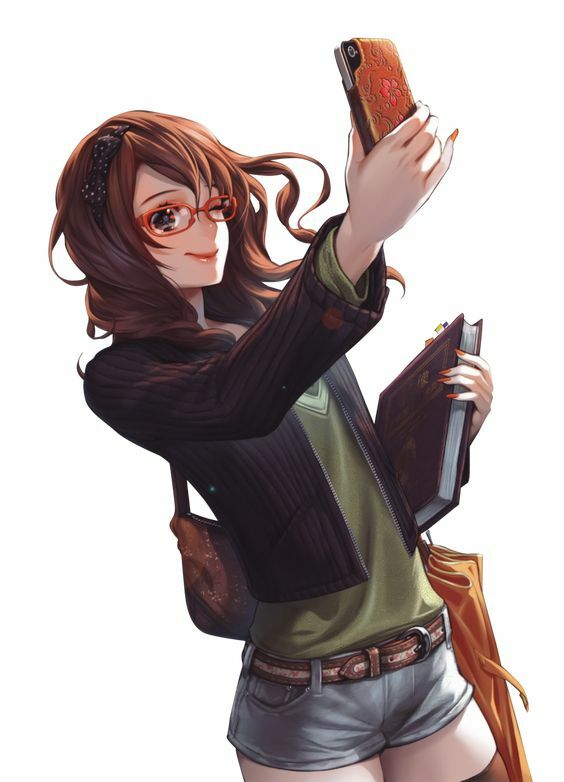 When dressing casually, she has a tendency to favour short clothing that leaves her arms uninhibited, and short pants. If she does wear long pants, she will usually wear jeans. Musume appears as a drenched, hooded figure. Her body is obscured by the dark, drenched cloak that she wears. Musume, like the sea, is changeable and fickle. She is quick to anger, but can hide her aggression beneath a veneer of calm. When not obviously angered, Musume is generally quiet, and will generally be patient when dealing with her wielder. Pond's inner world is a sea that stretches in every direction forever, or so it seems. Depending on Pond and Musume's emotions, the sea may appear to be storm-tossed, or placid, or somewhere in between. Hair Style/Color:Auburn. Very meticulously styled into waves when down, otherwise thrown up into a messy bun or ponytail. Always wears a black headband. Attire: Always wears a lab coat. Has a standard shihakusho. Haruryūnohi (春龍の火 Spring Dragon's Fire). When unreleased, Haruka's weapon is a standard-length katana with orange wrapping. The guard is rectangular, and etched into it are decorations of blooming flowers. Shikai: Haruryūnohi's release command is Bloom (咲くSaku). Upon release, Haruryūnohi's blade shrinks to become a wakizashi. The blade itself is wrapped in translucent orange flames which give off little heat. Ignite (着火する chakka suru): When this ability is activated, the flames on Haruryūnohi's blade lose their translucence and intensify in heat. On contact with an enemy, the flames sear and burn whatever they touch. Last edited by thatgirlwithsocks; 09-03-2018 at 12:13 AM. Hair Style/Color: Shoulder-length and blonde, often up in a ponytail, tied with a black ribbon. Attire: Her shihakushō is short-sleeved with short pant legs that reach to her mid thigh. Her haori is as short as her shihakushō, and is also sleeveless. Umi no Musume (海の娘 Daughter of the Sea). The sealed form of Pond's zanpakuto is a standard katana. The guard of her zanpakuto is decorated with wave patterns, and the wrapping of the hilt is a deep blue. The scabbard for Umi no Musume is also a deep blue, and is usually slung across Pond's back. Shikai: The release command for Umi no Musume is Drown (溺れる oboreru). Upon its release, Umi no Musume does not change form. The only noticeable difference is that droplets of water will occasionally drip from the blade. Shikai Special Ability: Nami (波 Wave). This ability can be used either offensively or defensively. With the hand that isn't holding her zanpakuto, Pond can use the reishi and moisture in the air to create a wall of water which she can either use to attack an enemy, or use to block an enemy's attack when it is at a mid to long range. Bankai:Umi no Ikari (海の怒り Fury of the Sea). When her bankai is released, Pond is drenched by a wave of freezing cold water which floods the battlefield. Her sword once again does not change form, and the droplets of water happen with increased frequency. Bankai Special Ability:Umi ga shuchō suru (海が主張する The Sea Claims) When this ability is active, any part of Pond's opponent's body that is wet comes under her control until the connection is severed by her opponent through either their drying off said body part, disabling it, or injuring Pond to the point where she can no longer concentrate on keeping her ability active. Last edited by thatgirlwithsocks; 08-23-2018 at 08:12 PM. Hair Style/Color: Haruka's hair is shoulder length and straight, but she spends every morning meticulously styling it into meticulous waves. Attire: Her shihakushō is long-sleeved, with the pants of it reaching to her knees. Standard socks and sandals are her footwear. She always wears glasses and a headband. May or may not be a furry? Haruryūnohi's release command is Bloom (咲くSaku). Upon release, Haruryūnohi's blade shrinks to become a wakizashi. The blade itself is wrapped in translucent green flames which give off little heat. Engulf (包み込む Tsutsumikomu): Wherever an opponent has been hit by the above ability when this ability is activated, green flames will slowly begin spreading over their bodies. These flames do not burn or emit heat. Consume (消費 Shōhi): The flames from Engulf intensify and start to burn the opponent. This office is where paperwork is done, meetings are had and briefings are given. From the curtained glass sliding doors, most of the Gotei and the rest of the 5th Division can be seen. The doors open out onto twin balconies, each with a potted plant, a small, round table, and two chairs. Last edited by thatgirlwithsocks; 08-21-2018 at 03:32 AM.